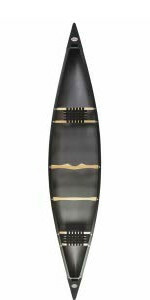 Old Town's lightweight, three-layer molded polyethylene hull is designed to take a beating. Agile, stable, and easy-to-handle, the Discovery 158's sleek design performs well on the water. Sit comfortably on the trio of durable, breathable, UV-resistant, nylon-webbed seats, which allow air to flow freely for all-day ease. 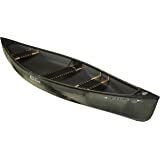 Use the comfortable molded handles on the deck plates to tote the canoe from truck to water and back again. 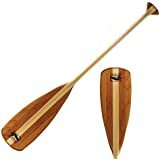 Supports two paddlers; 1,150-pound capacity; measures 15 feet 8 inches long and weighs 87 pounds. 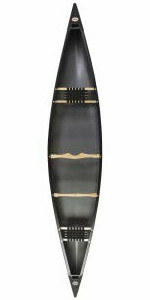 Lifetime hull warranty. 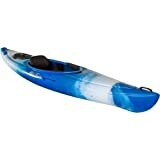 Old Town is the world's oldest and largest manufacturer of canoes and kayaks. The company has spent over a century innovating—boat after boat, all while staying true to their Northeast heritage and a long legacy of quality craftsmanship. 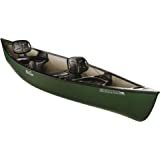 Agile, stable, and easy to handle, the Old Town Discovery 158 canoe is a great choice as a recreational canoe, but it can also handle the rigors of fishing and hunting expeditions. 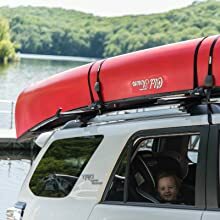 Designed for accommodating you and your gear with a spacious interior, the Discovery 158 is also great for paddling calm waters with your family. 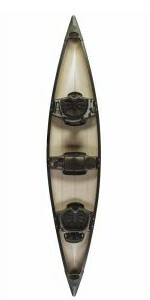 From advanced design to superior durability, Old Town has spent more than a century innovating to deliver cutting-edge watercraft with a custom fit and feel. 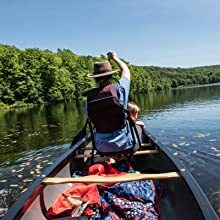 Whether you’re fishing, sea kayaking, canoe tripping, or enjoying a relaxing paddle on the lake, there’s an Old Town watercraft for every type of adventurer. 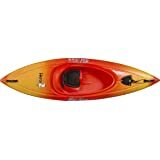 The Old Town Discovery 158 offers comfortable and durable nylon web seats for hours of paddling enjoyment and years of maintenance-free excursions. 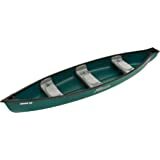 Outfitted with a durable ash wood carrying yoke and thwart as well as comfortable carrying handles, the Discovery 158 is easy to portage from your vehicle to the water. A dependable choice for strength, flexibility, and lightweight manageability, the Discovery canoe line uses a construction process that rotationally molds three-layers of polyethylene to create an extremely durable shell that will last many years. 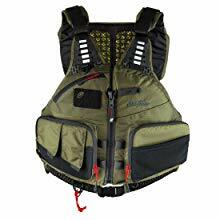 Designed with anglers in mind, the Old Town Lure Angler Personal Flotation Device (sold separately) keeps you comfortable during long days on the river. The PFD's AirComfort system cools you down on hot, sunny days, and zippered pockets keep you organized. 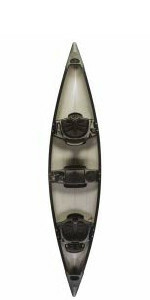 Paddle in a time-tested favorite with the Discovery 158, an Old Town best seller for more than 30 years. 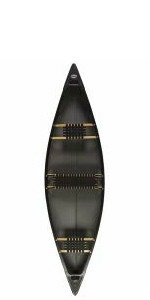 Old Town's lightweight, three-layer molded polyethylene hull is designed to take a beating. Agile, stable, and easy-to-handle, the Discovery 158's sleek build is ideal for exploring. 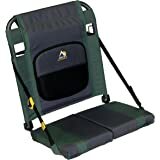 Sit comfortably on the pair of durable, breathable, UV-resistant, nylon-webbed seats, which allow air to flow freely for all-day ease. 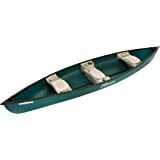 Use the comfortable molded handles on the deck plates to tote the canoe from truck to water and back again. 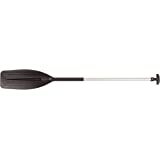 Supports two paddlers; 1,150-pound capacity; measures 15 feet 8 inches long and weighs 87 pounds. Lifetime hull warranty. 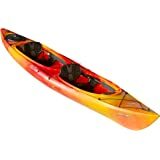 Old Town is the world's oldest, largest and most revered manufacturer of canoes and kayaks. 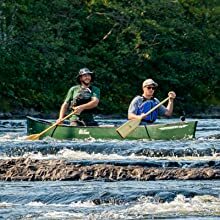 The company has spent over a century innovating—boat after cutting edge boat, all while staying true to their Northeast heritage and a long legacy of quality craftsmanship. My husband had wanted a canoe for a while now and he finally decided on this one. When it arrived we immediately took outout for a spin on the lake close by and loved it. 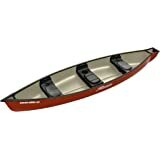 5.0 out of 5 starsGreat canoe. Tough construction that will last forever. 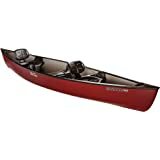 Great canoe for a good price. Love it. 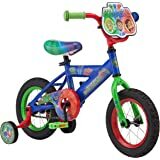 got a nice price too.